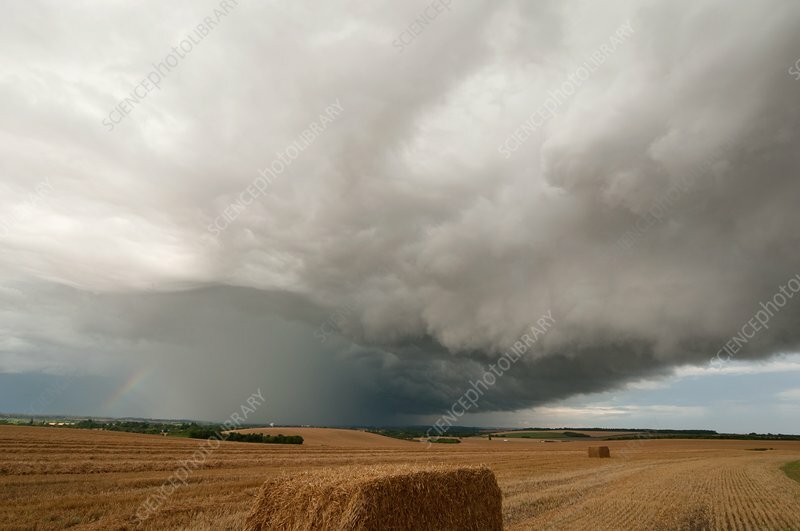 Storm clouds over a field of stubble. This type of cloud is known as cumulus congestus. Cumulus clouds are formed by the upward convection of warm, moist air. If they develop to the size and intensity of these cumulus congestus, heavy showers are likely to result. Photographed in the UK.